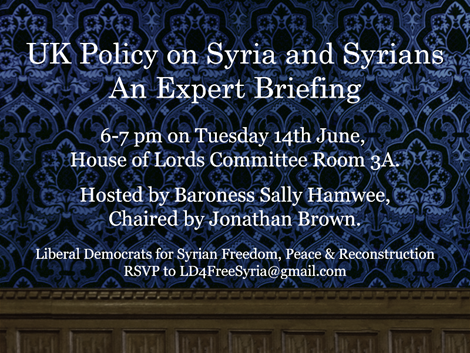 Organised by Liberal Democrats for Syrian Freedom, Peace and Reconstruction. With speakers from Rethink Rebuild Society and Syria Solidarity UK, on practical steps for improving the lives of Syrian refugees, protecting civilians inside Syria bringing closer an end to the war. • What is the state of the civilian opposition to Assad, ISIS/Daesh and other extremist groups? • What factors are causing the breakdown of the Cessation of Hostilities? 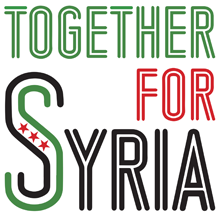 • What role can and should Syrian civil society organisations play in reconstruction efforts? 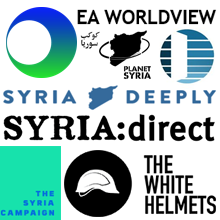 • Why are extremist groups inside Syria so resilient? • What factors are shaping the movement and actions of refugees? • What simple things can the UK do to ease the plight of refugees in our country? 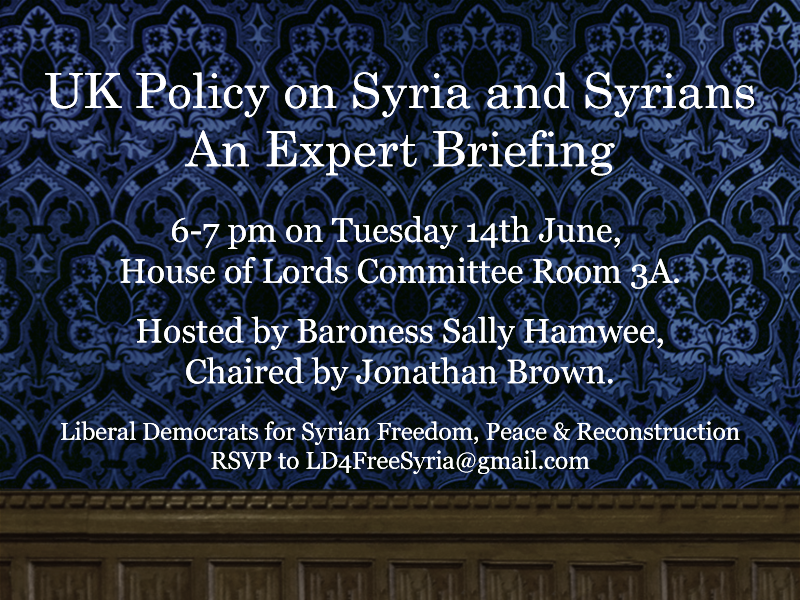 Hosted by Baroness Sally Hamwee, chaired by Jonathan Brown.